It was at the 2016 Delhi Auto Expo that Jeep confirmed that they will be entering the Indian market soon with their whole range of CBU vehicles. They also added that they will be launching an all new vehicle that will be built in Fiat’s Ranjangaon facility. 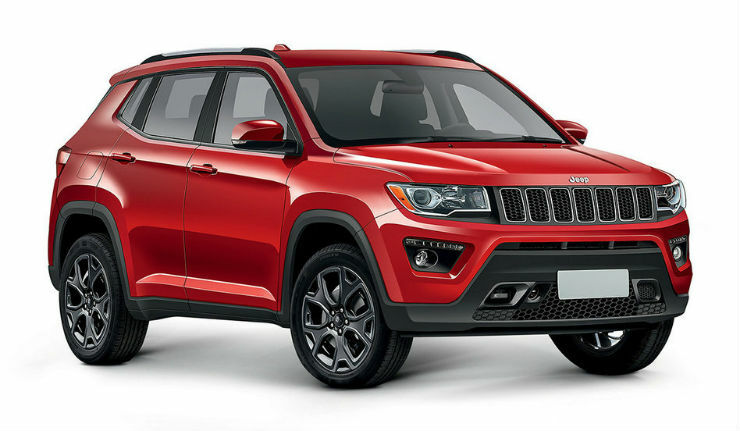 This, the Jeep 551 (C-SUV) is most likely going to be that vehicle. When it does go into production, the Ranjangaon facility will be the forth facility in the world where Jeeps are manufactured, globally. The vehicle will be launched at the 2016 Sao Paulo Motor Show in November later this year. The first rendering of the vehicle has just come out and one thing’s for sure, it looks very appealing. This will replace the current generation Patriot and Compass and will be positioned above the Renegade SUV. In terms of size, we expect the C-SUV to be just a little smaller than the XUV500, given the size of the Patriot and Compass. It will be however positioned above the XUV and will take on the Fortuner and the Endeavour when it is launched next year. Powering the C-SUV will be a 2.0 liter multijet diesel engine making 170 Bhp. Globally there will be a petrol option on offer as well, however whether that makes it to India or not is not known yet. On the transmission front, we expect the new 9 speed automatic transmission to be the choice for India.